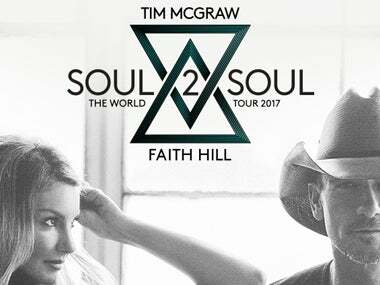 Country royalty Tim McGraw and Faith Hill will be taking the Golden 1 Center stage on July 28 after playing nearly 35 sold out shows. Here is what to expect of their Sacramento performance—spoilers ahead! There will be a lot of duets. They may interact with the crowd. There might be some new music. Tim and Faith are set to release a duets album and have debuted a few of the songs at recent shows. Rolling Stone’s review even shared that the power couple debuted new duets at the sold out show in Birmingham Alabama. “Throughout the evening Tim and Faith debuted multiple new songs from their forthcoming long-awaited duets album,” they said. Tim and Faith will shine solo. While the couple spends a lot of time sharing the stage, they also give stellar performances of their respective best-hits. The night just would not be complete if Faith was not belting out one of her greatest hits like “Breathe” or Tim didn’t bring the house down with “Live Like You Were Dying.” The Spokesman Review claims that, “Hill’s impressive vocal and physical stamina were evident throughout her solo portion of the set list.” Definitely expect to rock out to your favorite songs by Tim and Faith. It will be the show of the summer. With every venue sold-out thus far, a ticket to the Soul2Soul: The World Tour is golden. Between their stellar individual performances and heart-melting duets, this will surely be a night to remember for any country-music fan.